The Preposition- Types And Problems. A preposition is a small word that tells the relationship between two nouns in a sentence. Relationship either in terms of time or position. E.g.They sat on the floor. 'On' here is telling us the relationship between 'they' and 'floor.' Prepositions show the relationship between the noun in subject position and the noun that immediately follows the preposition. This is subdivided into two according to whether they are monosyllables or polysyllables. Examples of monosyllabic prepositions are: as, at, by, for, from, like, near, of, off, on, past, par, round, since, than, through, till, too, with, via etc. Polysyllabic prepositions are: about, above, after, against, along, amid, amidst, among, amongst, around, atop, before, below, beneath, beside, besides, beyond, despite, during, except, inside, into, notwithstanding, unto, opposite, outside, over, pending, throughout, towards, under, underneath, unlike, until, upon, within, without etc. There are two types of complex preposition: those made up of two words and those made up of three words. Complex preposition comprising two word are: up against, apart from, away from, aside from(American English), as from, ahead of, because of, inclusive of, instead of, outside of, regardless of, irrespective of, according to, due to, close to, owing to, prior to, thanks to, pursuant to, up to, along with, together with etc. Complex prepositions comprising three words are: in aid of, in back of, in charge of, in front of, in lieu of, in quest of, in view of, in spite of, in respect of, in case of, in accordance with, in common with, by virtue of, by means of, on account of, on behalf of, in addition to, in relation to, with/in reference to, at variance with, with inception of etc. There are also words that are classified as Marginal Prepositions. They are: including, pending, concerning etc. There is also another group of prepositions which are mostly used in mathematics. They are: plus, minus, over, times & less. There are also borrowed foreign words which are now used in English as prepositions. They are: Circa(around), Versus (Nigeria Vs Britain), anti(borrowed from Latin), Viz-a-viz(Italian). 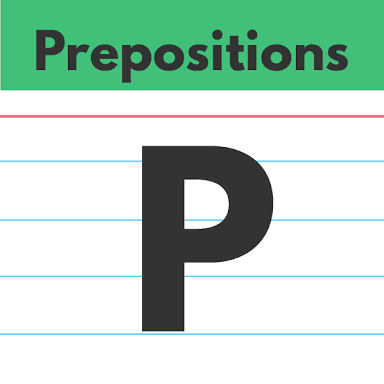 Prepositions don't naturally occur alone; they necessarily occur with a noun or pronoun or nominalization. 1.This book is for John. 2. These shoes are not meant for diving. 3. This book is for him. From the sentences above, you can see that the preposition 'for' is occuring with a noun(John); in sentence two, it is occurring with a nominalization(diving) while in sentence three, it is occurring with a pronoun(him). 1. My bag is on the table. 2. The show is not on yet. In sentence one, 'on' is functioning as a preposition because it shows the relationship between the noun in the subject position (bag) and the noun that immediately follows the preposition(table) while in sentence two, 'on' is functioning as an adverb. Note: A preposition can be modified by an adverb. We live very close to the university gate. In the sentence above, the adverb, 'very' is functioning as a modifier to the preposition, 'close to' because it answers the question, 'how.' For example: how close? Your response will be 'very close to. Thanks for the lectures. God bless you.